Since 2017 HBMF has moved to the Oval. While Alexandra Park holds a special place in the hearts of so many that have been involved over the years, the festival has simply outgrown it. From now on, the new home of HBMF will be The Oval. The bigger space (50% bigger!) will enable some changes we’ve wanted to make for years, i.e. 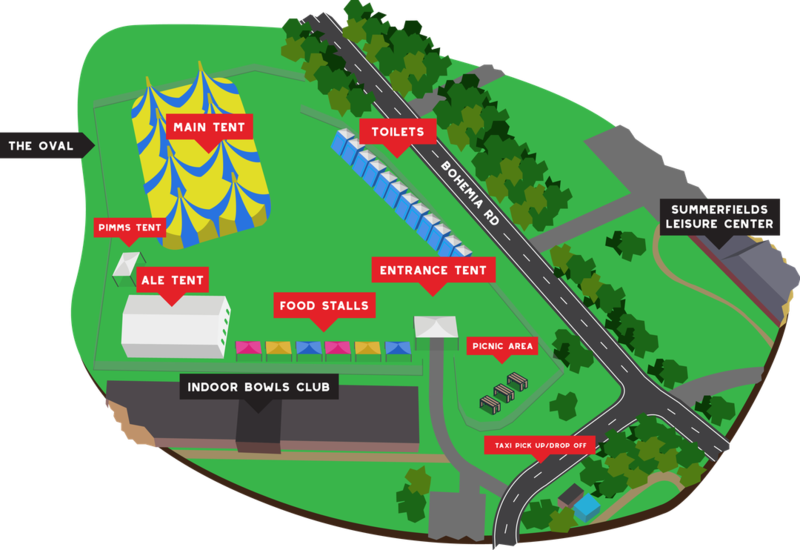 ale having it’s own tent, much better toilet layout, better space for vendors to name a few. The move should also mean an improved taxi facility, with a taxi drop off/pick up area right outside the entrance. And to top it all off … there are the stunning sea views! We hope to see you there, and we hope you’ll be as pleased with the new venue as we are. Great fun for great causes!